Brakes are an integral part of your vehicle, so ensuring their proper function is an important aspect of car maintenance. Get your brake pads and brake fluid checked regularly to make sure you’re always prepared. The general rule of thumb is that brake pads need to be replaced after 50,000 miles. However, this number changes depending on how you drive, as well as the make and model of your car. 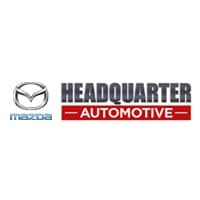 Look out for warning sounds like strange noises, vibrations in the steering wheel, or a brake light appear on your dashboard, and bring your car to Headquarter Mazda for expert service. At Headquarter Mazda, our technicians first examine your entire braking system to determine the quality of your brakes and brake pads. Next, we look for brake dust in the wheels, confirm the thickness of brake pads, and test your steering wheel and brake pedal. It’s better to ask yourself “how should brakes not feel?” Bring your car in to get serviced if you notice any of the following: vibrations in brakes or steering wheel, soft/spongy feeling brakes, or your car pulling to one side. Brakes can fail for a number of reasons. The most common issues include over-worn brake pads, overheated brakes, and oil leaks that hinder proper brake friction. The dedicated technicians at Headquarter Mazda are highly-trained and ready to assist you with brake service and repair. To learn more about our offered services, or to schedule an appointment, call our service department at (407) 901-9051.